"One fish,two fish, red fish.." One lone red fish in a school of goatfish on the "Wreck of the Chikuzen", Virgin Gorda, British Virgin Islands. 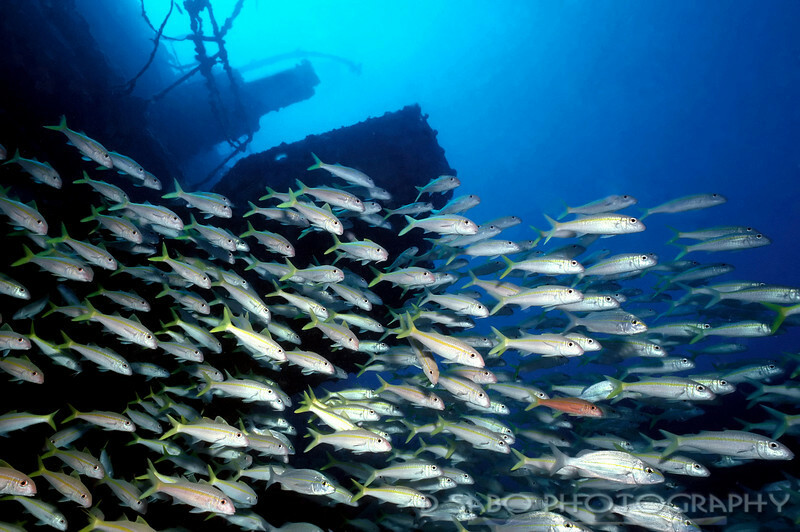 The Chikuzen is situated 12 miles NW of Virgin Gorda surrounded by miles of sand, making it a "fish magnet" since it is the only place for marine life to congregate nearby. It's open ocean location, swells and surge can make the dive challenging but the rewards are well worth it.